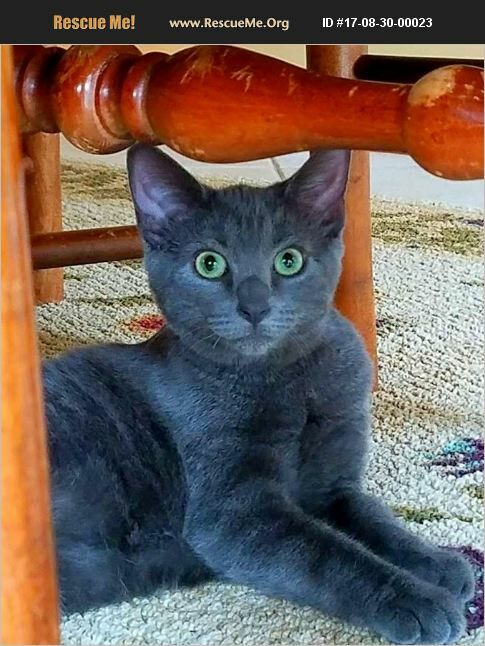 Adorable Ashley is a 6 month old gray short haired female kitten that gets along well with other cats. She is a little shy but any person with cat experience will be able to help her slowly acclimate to a new home where she can be comfortable in her own skin. She is a lap kitty and will love to spend time with you once she gets to know you. She is playful and absolutely beautiful. Adoption fee applies. No declawing. Indoor home only. All cats are spayed/neutered, microchipped, vaccinated, dewormed, FeLV/FIV tested, and given a current month's dose of Revolution topical for flea/heartworm prevention.